MTV Movie Awards is getting a makeover this year as it has made a few changes to the ceremony which includes a new name, inclusion of television categories for the first time, and removing gender specific awards. Now known as MTV Movies & TV Awards, the 26th edition of the annual broadcast is slated for Sunday, 7 May 2017, and will honour work in television for the first time alongside feature films. 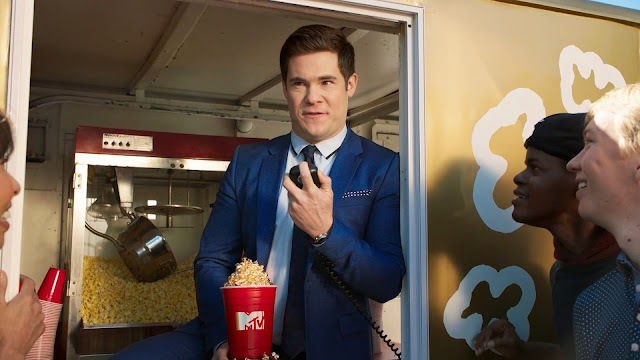 It is set to be hosted by actor and comedian Adam DeVine. Additionally, the actors and actresses categories have been combined into non-gendered fields for movies and television shows, and two additional categories will be revealed closer to the show. The nomination list for the prestigious ceremony is already out with Jordan Peele's record-breaking directorial debut, "Get Out" leading the pack with six nominations including Movie of the Year and a Next Generation nomination for star Daniel Kaluuya. The live-action adaptation of "Beauty and the Beast" follows behind with four nominations, including a Best Actor in a Movie nomination for Emma Watson, who will be going against male actors like Hugh Jackman and James McAvoy. On the television side, "Stranger Things" has also nabbed four nominations while "Game of Thrones" follows closely behind with three nominations, where both shows are nominated in the coveted Show of the Year award. See the rest of the nominations below. Ashton Sanders & Jharrel Jerome - "Moonlight"
Emma Stone & Ryan Gosling - "La La Land"
Emma Watson & Dan Stevens - "Beauty and the Beast"
Taraji P. Henson & Terrence Howard - "Empire"
Zac Efron & Anna Kendrick - "Mike & Dave Need Wedding Dates"
Allison Williams - "Get Out"
Jared Leto - "Suicide Squad"
Jeffrey Dean Morgan - "The Walking Dead"
Wes Bentley - "American Horror Story: Roanoke"
Ellen DeGeneres - "The Ellen DeGeneres Show"
John Oliver - "Last Week Tonight"
RuPaul - "RuPaul's Drag Race"
Samantha Bee - "Full Frontal With Samantha Bee"
Trevor Noah - "The Daily Show"
"This Is Everything: Gigi Gorgeous"
"TIME: The Kalief Browder Story"
Daniel Kaluuya - "Get Out"
Emma Watson - "Beauty and the Beast"
Taraji P. Henson - "Hidden Figures"
Emilia Clarke - "Game of Thrones"
Ilana Glazer & Abbi Jacobson - "Broad City"
Lil Rel Howery - "Get Out"
Seth MacFarlane - "Family Guy"
Will Arnett - "The LEGO Batman Movie"
Felicity Jones - "Rogue One: A Star Wars Story"
Grant Gustin - "The Flash"
Mike Colter - "Luke Cage"
Adam Levine & Blake Shelton - "The Voice"
Daniel Kauuya & Lil Rel Howery - "Get Out"
Brian Tyree Henry & Lakeith Stanfield - "Atlanta"
Hugh Jackman & Dafne Keen - "Logan"
Josh Gad & Luke Evans - "Beauty and the Beast"
Martha Stewart & Snoop Dogg - "Martha & Snoop's Potluck Dinner Party"